In psychology, the subconscious is the part of consciousness that is not currently in focal awareness. The word subconscious is an anglicized version of the French subconscient as coined by the psychologist Pierre Janet, who argued that underneath the layers of critical thought functions of the conscious mind lay a powerful awareness that he called the subconscious mind. Because there is a limit to the information that can be held in conscious focal awareness, a storehouse of one's knowledge and prior experience is needed; this is the subconscious. In everyday speech and popular writing, however, the term is very commonly encountered as a layperson's replacement for the unconscious mind, which in Freud's opinion is a repository for socially unacceptable ideas, wishes or desires, traumatic memories, and painful emotions put out of mind by the mechanism of psychological repression. However, the contents do not necessarily have to be solely negative. In the psychoanalytic view, the unconscious is a force that can only be recognized by its effects - it expresses itself in the symptom. Unconscious thoughts are not directly accessible to ordinary introspection, but are supposed to be capable of being "tapped" and "interpreted" by special methods and techniques such as meditation, random association, dream analysis, and verbal slips (commonly known as a Freudian slip), examined and conducted during psychoanalysis. Carl Jung developed the concept further. He divided the unconscious into two parts: the personal unconscious and the collective unconscious. The personal unconscious is a reservoir of material that was once conscious but has been forgotten or suppressed. If someone talks of subconsciousness, I cannot tell whether he means the term topographically - to indicate something lying in the mind beneath consciousness - or qualitatively - to indicate another consciousness, a subterranean one, as it were. He is probably not clear about any of it. The only trustworthy antithesis is between conscious and unconscious." Thus, as Charles Rycroft has explained, "subconscious" is a term "never used in psychoanalytic writings". And, in Peter Gay's words, use of "subconscious" where "unconscious" is meant is "a common and telling mistake"; indeed, "when [the term] is employed to say something 'Freudian', it is proof that the writer has not read his Freud". Freud's own terms for mentation taking place outside conscious awareness were das Unbewusste (rendered by his translators as "the Unconscious") and das Vorbewusste ("the Preconscious"); informal use of the term "subconscious" in this context thus creates confusion, as it fails to make clear which (if either) is meant. The distinction is of significance because in Freud's formulation the Unconscious is "dynamically" unconscious, the Preconscious merely "descriptively" so: the contents of the Unconscious require special investigative techniques for their exploration, whereas something in the Preconscious is unrepressed and can be recalled to consciousness by the simple direction of attention. The erroneous, pseudo-Freudan use of "subconscious" and "subconsciousness" has its precise equivalent in German, where the words inappropriately employed are das Unterbewusste and das Unterbewusstsein. "New Age" and other "fringe" modalities targeting the "subconscious"
As outlined above, psychologists and psychiatrists exclusively use the term "unconscious" in situations where many laywriters, particularly such as those in metaphysical and New Age literature, usually use the term "subconscious". It should not, however, be inferred from this that the orthodox concept of the unconscious and the New Age concept of the subconscious are precisely equivalent. Psychologists and psychiatrists take a much more limited view of the capabilities of the unconscious than are represented by the common New Age depiction of the "subconscious". There are a number of methods in use in the contemporary New Age and paranormal communities to try to directly affect the latter: Affirmations, Autosuggestion, Binaural beats, Hypnosis, Subliminal message. Look up Thinking portal in Wiktionary, the free dictionary. Please browse our fully updated library of professionally produced Hypnosis Downloads and Hypnosis Scripts for advanced self hypnosis audio mp3s and indirect hypnotherapy scripts relating to: subconscious, subconscious mind, subconscious mind power, subconscious vs unconscious, definition of subconscious, freud subconscious, pierre janet, psychoanalysis, sigmund freud, what is the subconscious. Please browse our Hypnosis Online Store for books, cds, downloads, dvds, ebooks, mp3s, scripts, and videos relating to: subconscious, subconscious mind, subconscious mind power, subconscious vs unconscious, definition of subconscious, freud subconscious, pierre janet, psychoanalysis, sigmund freud, what is the subconscious. 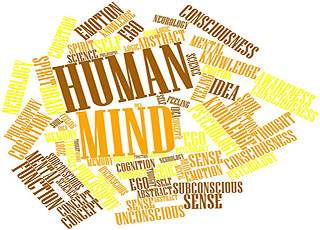 Please visit Hypnotic-world.co.uk for advanced self hypnosis audio mp3s, hypnosis courses, and hypnosis pdf relating to: subconscious, subconscious mind, subconscious mind power, subconscious vs unconscious, definition of subconscious, freud subconscious, pierre janet, psychoanalysis, sigmund freud, what is the subconscious. Please visit Hypnotic-world.com for more information relating to: subconscious, subconscious mind, subconscious mind power, subconscious vs unconscious, definition of subconscious, freud subconscious, pierre janet, psychoanalysis, sigmund freud, what is the subconscious.